L322 20 Wheel NutsGood used conditionAll nuts fit socket as they should..
L322 4.4 Gearbox CradleGood used conditionSome surface rust but solid conditionWill fit 02-09 4.4 Pe..
L322 Boot Door Upper Glass And Frame 02-06Good used conditionSome marks from useNo rust on lower par..
L322 Boot Lower Door CompleteGood used working conditionComplete with locksSome marks from use..
L322 Chrome Side StepsGood used conditionSome marks from use.. Range Rover L322 4.0L V8 Petrol Fuel Tank StrapsGood used conditionRemoved from 2004 4.0 V8 Petrol L.. Range Rover L322 4.4 / Td6 Front under TrayGood used condition,Removed from 4.4 V8 Range Rover L322.. Range Rover L322 Back Of Bonnet GrillPaint is peeling across the top as shown in photoNo cracks or d.. Range Rover L322 Boot Door SealGood used conditionNo rips in seal.. Range Rover L322 Complete Front And Rear Footplate Set ScuffGood used conditionSome marks and scratc.. Range Rover L322 Complete Front And Rear Footplate.. Range Rover L322 Front Door Check Strap BDH760022Good used working conditionWill fit 02-06 Range Rov.. Range Rover L322 Front Engine Under TrayCracked on undersideAs shown in photos.. 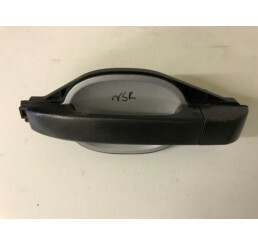 Range Rover L322 Front Wiper Arm Covers PairGood used condition,No cracks or damage.. Range Rover L322 Front Wiper Arms PairGood used conditionWiper blades will need replacing,complete w.. Range Rover L322 Lower Tailgate Hinges PairGood used working conditionWill fit L322 Range Rover 02-0.. Range Rover L322 Nearside/Passenger Side Front Air Vent JVE000051Good used working conditionAs shown.. Range Rover L322 Nearside/Passenger Side MirrorGood used working conditionSome scratches and fading .. Range Rover L322 Nearside/Passengers Side Rear Fuel Tank GuardGood used conditionScrapes and marks a.. Range Rover L322 Nearside/Passengers Side Rear Fue.. 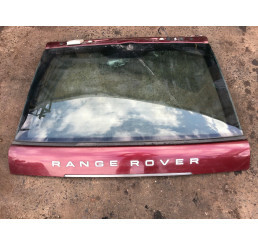 Range Rover L322 Off Side Rear External Door HandleGood used working condition,Complete as shown in .. 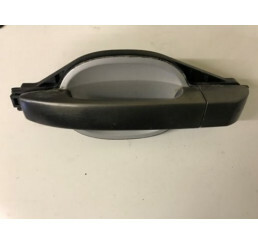 Range Rover L322 Off Side Rear External Door Handl.. 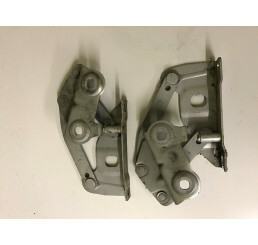 Range Rover L322 Offside / Driver Side Front Door Hinge Set SilverFood used working condition,Will f.. Range Rover L322 Offside / Driver Side Front Door .. Range Rover L322 Offside / Driver Side Rear Door Hinge Set SilverGood used working condition,Will fi.. Range Rover L322 Offside / Driver Side Rear Door H.. Range Rover L322 Offside Driver Side Front Air Vent JVE000041Good used working conditionAs shown in .. Range Rover L322 Offside Driver Side Front Air Ven..